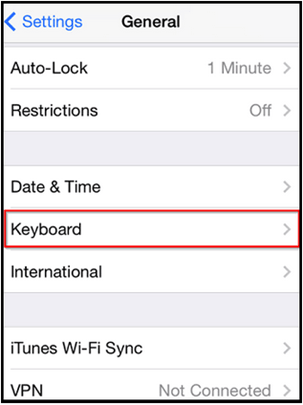 How to turn off QuickType suggestions / QuickType keyboard on iOS 8 / iOS 8.1? 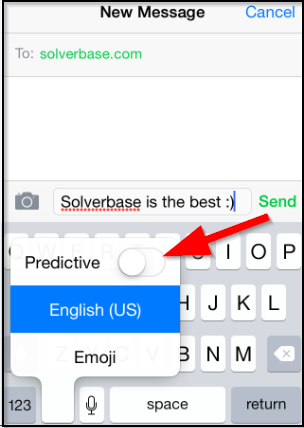 How to remove auto suggest on iOS 8 / iOS 8.1? Devices with iOS 8 / iOS 8.1: iPhone 6, 6 Plus, 5s, 5, 4s, iPad, iPod touch. Tap and hold on the emoji icon on the keyboard. 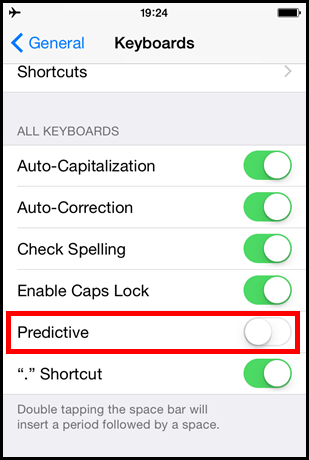 Turn the Predictive option to the Off position. 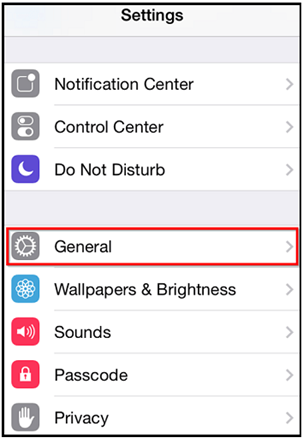 On the Home screen, locate and tap the icon that shows the image of a gear. This page was last modified on 22 October 2014, at 22:03.